The ceremony takes place under a romantic gazebo, surrounded by stunning gardens After this gorgeous Tenerife wedding ceremony, enjoy cocktails in the venue's romantic landscape, followed by luxurious dinner in this 5 starts Tenerife hotel. Later, your Tenerife wedding after-party acan be continued in your own private nightclub, where DJ or band could be hired to keep your guests entertained. Buffet menus available from the minimum of 50 people from 70€ per person. 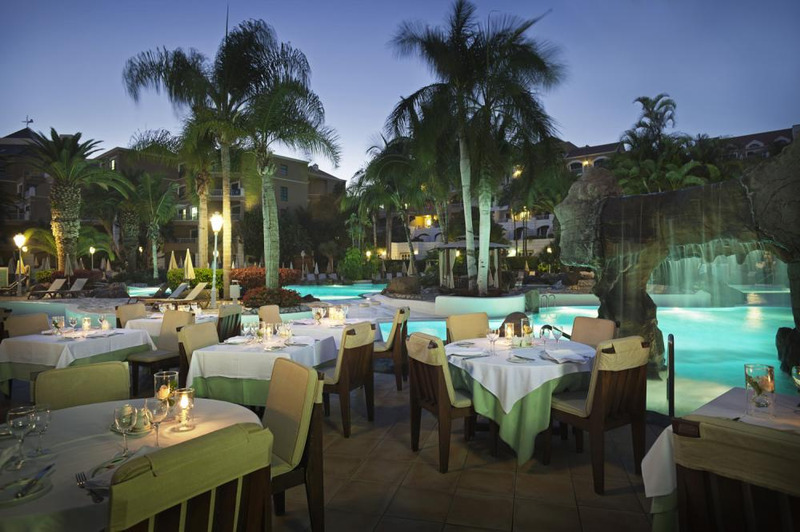 Tenerife weddings with an overall venue spend over 7100€ receive various bonuses, such as complimentary wedding suite, champagne, breakfast, SPA, complimentary 1st year anniversary night in this luxury Tenerife hotel and much more.